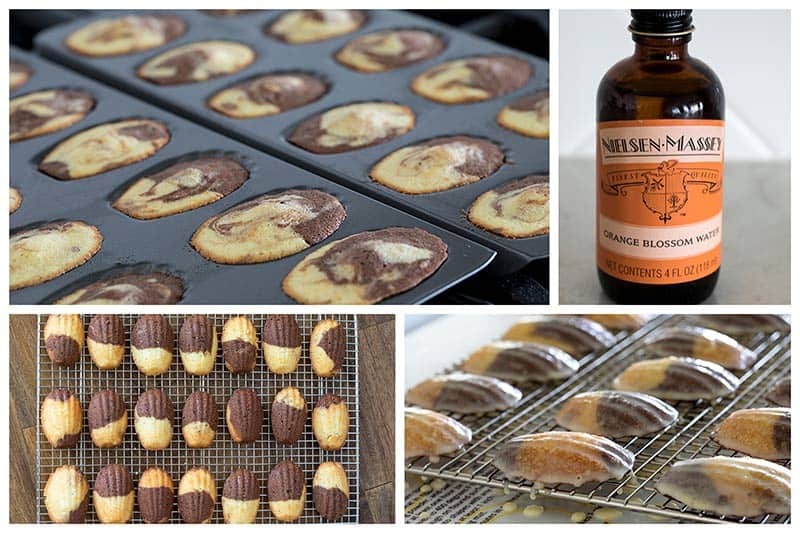 These Glazed Chocolate Orange Marbled Madeleines sound fancy, but they’re easy-to-make fun, little cakes that you can eat with your hands. 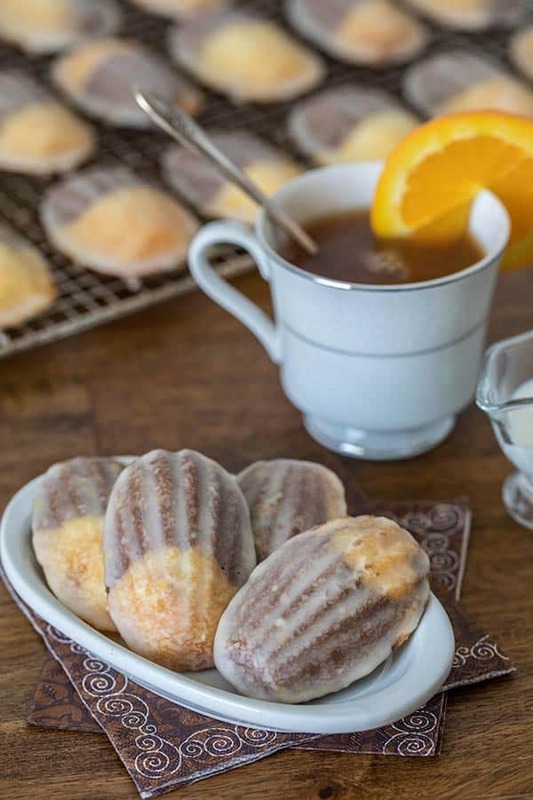 This Marbled Madeleine recipe is adapted from a recipe in a delicious new cookbook I recieved, Orange Appeal: Savory and Sweet, written by my sweet friend, Jamie Schler. The beautiful photographs are by Ilva Beretta. 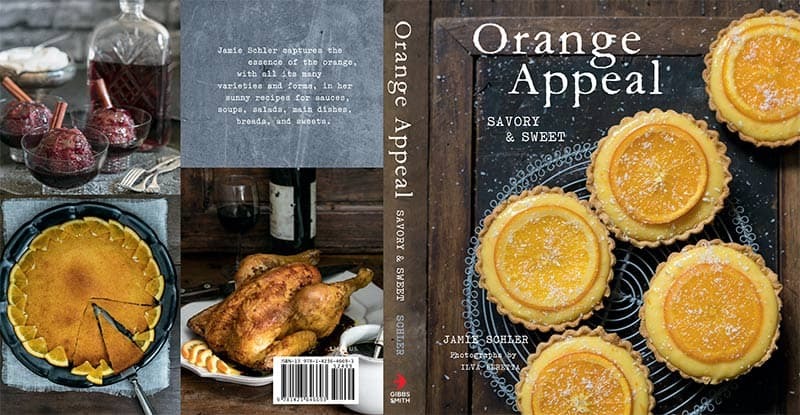 Jamie Schler grew up in Florida, surrounded by citrus groves, so writing a cookbook filled with orange recipes is a perfect fit. Jamie blogs at Life’s a Feast and owns a hotel in France, which is on my bucket list to visit one day. Jamie used Grand Marnier in her original marbled madeleine recipe, but I decide to use a mix of orange juice, orange zest, and Orange Blossom Water. Orange Blossom Water is fragrant, distilled from the fragrant blossoms of the bitter orange tree, and very concentrated. I only use 1/2 teaspoon Orange Blossom Water, but it added a bright orange flavor. You will need two madeleine pans (15.75-Inch-by-7.75-Inch) to make this recipe. Even though they’re non-stick pans, I spray them with a non-stick baking spray with flour as well. I made these marbled madeleines twice. The first time for these photos, and the second time for the video. The first time I swirled the batters together with a knife. The second time I put the batters in Ziploc bags, so I could pipe them into the pan without worrying about scratching my pan when I swirled the batter together. Both ways worked well. Another change I made was to add an orange glaze. 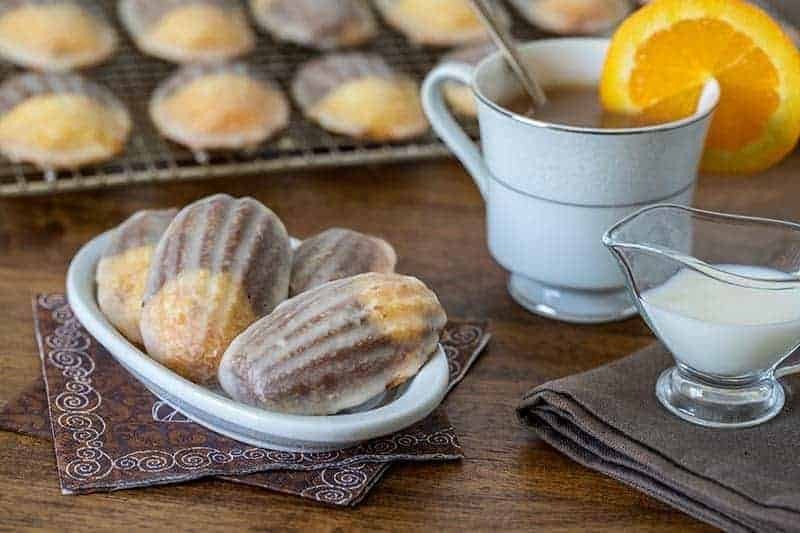 My family loves the extra sweetness and burst of flavor the glaze adds to the madeleines. I froze one batch and served them at a dinner party a week later. They froze beautifully and our guests loved the madeleines as much as my family did. They’re an impressive dessert that are really easy to make and I’m sure your family and friends will love them too. Separate the eggs, placing the whites with a few grains of salt in a very clean bowl. Whip the egg whites to firm but not stiff peaks. Set aside. In a large mixing bowl, beat the butter and sugar together until well blended and fluffy. Beat in the egg yolks, zest, juice, orange blossom water, and salt until smooth. Scrape down the sides of the bowl, add the flour, and beat just until combined and smooth. Fold the whipped egg whites into the batter until completely blended in and no white is visible. The batter should be thick and very smooth. Divide the batter evenly into 2 bowls. Using a spatula, fold the cocoa powder and vanilla into 1 of the bowls, until well blended. Spoon equal parts of each batter into the indentations of the prepared pan, about 3/4 full. Marble the 2 batters together by dragging the tip of a sharp knife through the 2 colors of batter to create a swirl pattern in each Madeleine. Bake for about 10 minutes. Remove the pan from the oven when the center of each Madeleine is set and puffed and the edges are golden. Allow to cool for 1–2 minutes in the mold before popping them out, using the point of a sharp knife and a gentle hand, or turning the pan over and tapping on the bottom. Cool completely on a cooling rack. Disclosure: I was given a review copy of Orange Appeal to review, but all opinions expressed are always my own. Just curious. What was the grand marnier amount in the original recipe. I really want this cookbook now!! !